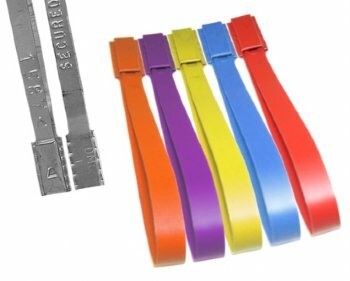 The Premier seal is the most widely used and the most economical metal security seal available. The unique double locking feature makes the Premier extremely tamper resistant. Embossing up to 15 characters and specified numbering up to 7 digits. Allow 2 weeks production time for custom made seals.